Red Shoes Living is not only a way to work, but a way to live. The simple ideas are the best… they are the ones you remember and use everyday. 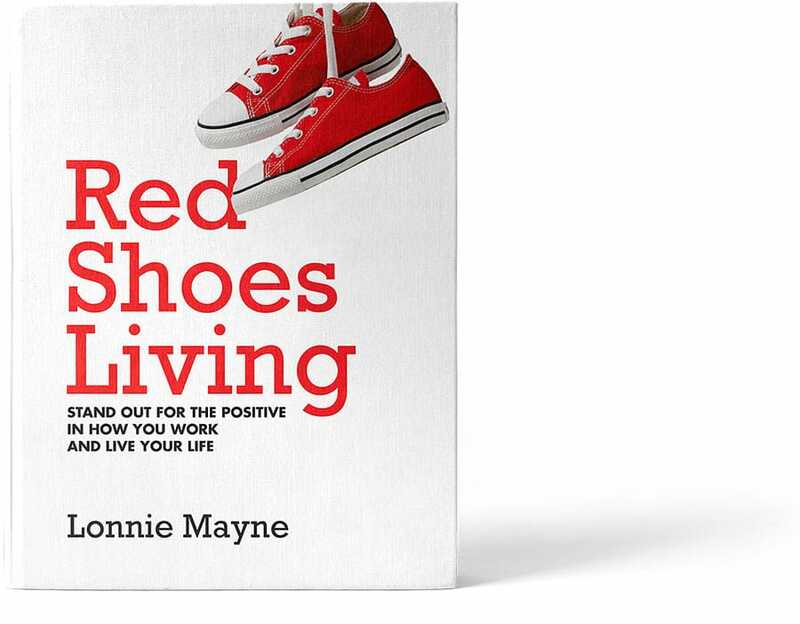 Red Shoes Living offers five steps that move you towards making a much bigger and more positive impact in everything you do. Gain perspective on the way you have been living versus the ways you could be living. Red Shoes leads to accountability. It leads to responsibility. It changes your standards, your goals and aspirations. It's a better way. Bring out the best in all the people you encounter. Learn a simple, powerful, and immediately rewarding way to move through your career and life. "If you give me 15 minutes - right now - I will change your life." Lonnie Mayne has successfully used this approach for more than two decades. 100% Secure - we never share your email. Share the book with friends!